Since the problem was originally identified in 2016, San Francisco’s Millennium Tower has been slowly but surely sinking and tilting westward towards the adjacent Mission Street. While Handel Architects, DeSimone Consulting Engineers, and the developer Millennium Partners contend that the execution and design of the project were sound, with the current structural issues stemming from the construction of the similarly defective Transbay Transit Center nearby, one fact remains clear: the tower must be stabilized to halt its sinking. 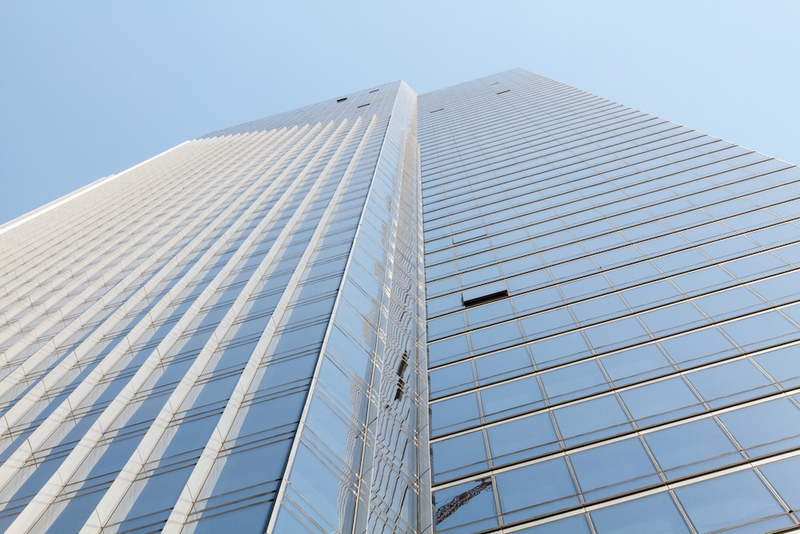 Today, the developers and structural engineering firm Simpson Gumpertz & Heger have submitted a $100 million proposal to retrofit the tower with a new system of piles reaching the bedrock below. Currently, the tower rests atop a 10-foot-thick concrete foundation bonded by nearly 1000 reinforced concrete piles driven close to 90 feet into a layer of soft clay that stretches across the Bay Area. While this practice is not uncommon in Downtown San Francisco, the sheer mass of the city’s fourth tallest tower places substantial strain on the soil below. How will this new ring of piles address the tower’s sinking? 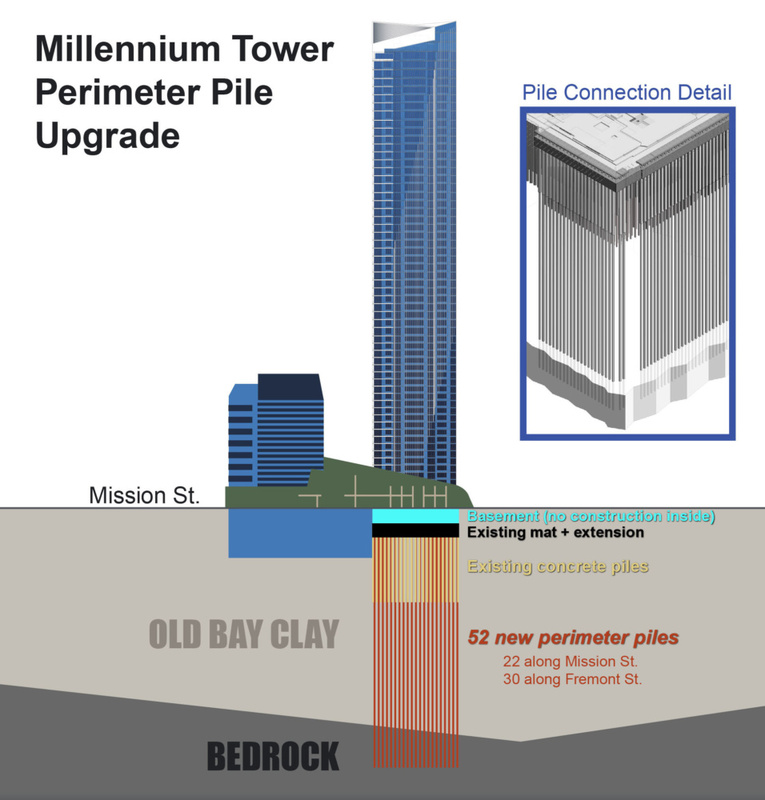 According to the Millennium Towers Homeowners Association, the “Perimeter Pile Upgrade” will reduce compression placed on the clay soils along the north and west elevations whilst encouraging secondary compression and two to three inches of sinking on the east and south elevations. This plan will effectively reduce, but not eliminate, the building’s 14-inch tilt while prospectively stabilizing the entire foundation. The Perimeter plan is “an effective and practical approach to the settlement and tilting issues,” said Hamburger, which “preserves and enhances the building’s safety.” If the city approves the permit application, construction could be completed within 18 months.